The New York Genealogical and Biographical Society is hosting a webinar: Learning More About Your Ancestors Through Newspapers. Tonight, Jan 9th @ 7pm (EST) Click here for more information and to register. I’ve found so much from newspapers like obituaries, birth and marriage announcements, information regarding court cases, land transfers, local event news and much more. Newspapers give me a better idea of what my ancestor’s lives during the times especially when newspapers when other records are few and far between. Newspapers.com has a 7 day free trial, check it out and see what information you can find. 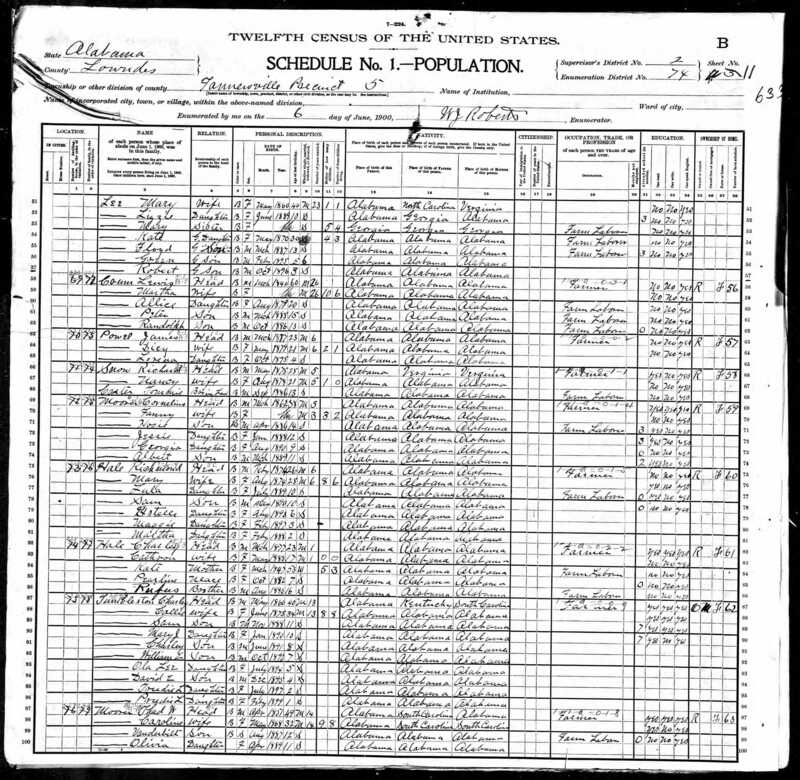 Are your tired of just looking at the Census records? Well, check out the records checklist below from familytreemagazine.com of other records to search for. Just a little video of some fo the records I’ve acquired over the years while doing genealogical research. Bounty Land:Land granted by the Colonial and federal governments as a reward for military service. Bounty-land warrants—documents granting the right to the land—were assigned to soldiers, their heirs and other individuals. The results are in from the 2017 Worldwide Indexing Event. Back at it! This past week I tried my hand at scrapbooking again. Turning my passion into a business, helping others discover their roots one branch at a time. 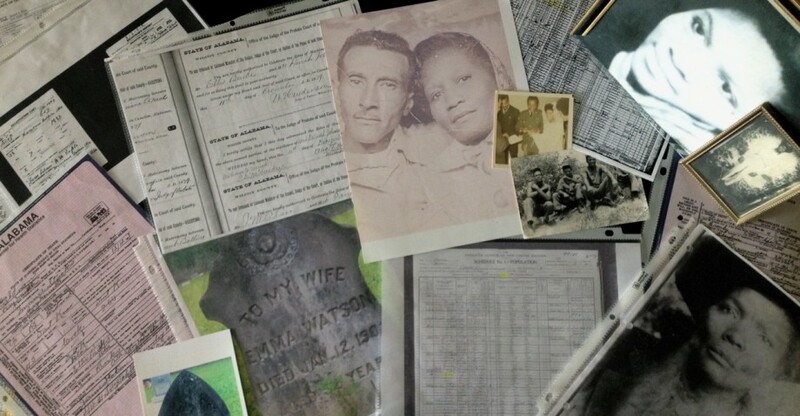 Whether your a vet or just beginning your genealogy quest it is important to go over your all documents once in a while. 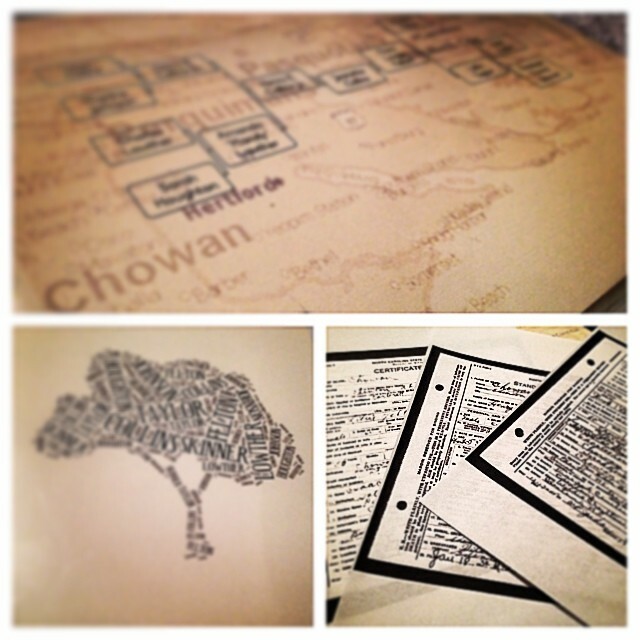 As you grow your family tree, so does the information and you’ll never know what you’ll discover what you’ve missed. Now I have had my great grandmother Jessie’s death certificate for a while but hardly ever look at it or anything other documents I may have unless I am researching that particular person. While I was picking my ancestors for my own share an ancestor a day in February challenge, I came across Jessie’s death certificate and I noticed my great grandfather Scott, who was the informant listed a woman named Linda as Jessie’s mother but on the 1900 Census a woman named Fanny is listed as the mother. I’ve questioned Fanny being her mother but after further examination of the 1900 Census record it was more likely Fanny was Jessie’s stepmother than her birth mother. 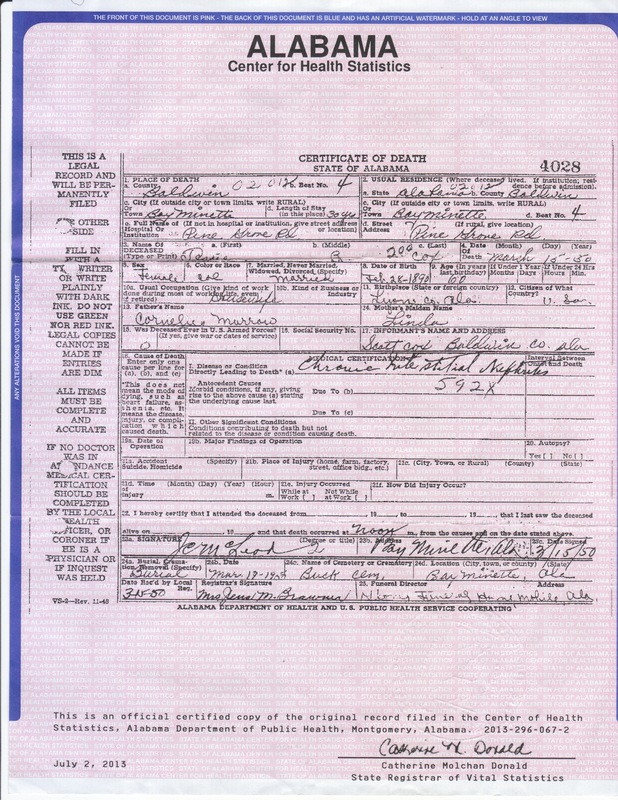 Now back to the death certificate, maybe my great grandfather did know the name of Jessie’s mother, remember the information provided for death certificates back then was more word of mouth and memory, some or all of the information may not be as accurate as we read. I decided to search for Linda and Cornelius (Jessie’s father) I didn’t find them together on a Census record but I did find a marriage license (waiting for it to be mailed) for the two in 1884 just a few years before Jessie would have been born. With this newly discovered document I also found out Linda’s last name which is Snow. Now I know I would have found out the information about Jessie’s mother eventually but if I would get into a routine of checking my documents things like them won’t happen too often. So I urge you guys to look over your documents and get in a routine, this may save you research time and money.